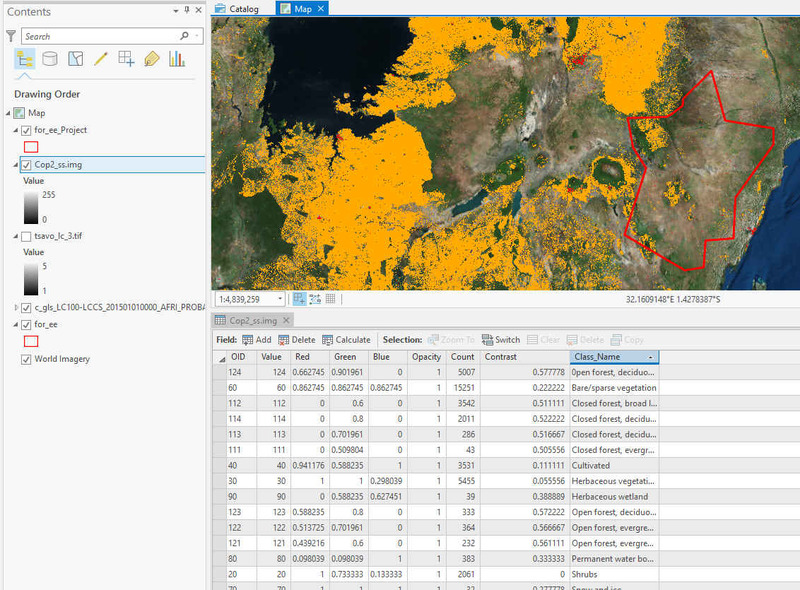 I am trying to extract part of a large raster using ArcGIS Pro 2.2. Each time I try I get a message saying it was successful but the outputs do not show up. The attributes are all copied over correctly and the count values are the same as those in the original raster. I've used a raster and a vector as mask data and made sure both input and output are in the same projection. I've tried exporting to a .gdb as well as a .img and .tif all with the exact same results. The other characteristic of this issue is that the processing takes only a few seconds which doesn't seem correct. In the screen shot below the Cop2_ss.img is the output from the extract by mask tool. Does anyone have experience with this happening? ArcGIS Pro Field Calculator completing without error, but no change to Feature? Tabulate Area Truncates Field Names in ArcGIS Pro? Simple Field Calculation With No Results in ArcGIS Pro? Why can't I buffer polygons in ArcGIS Pro?